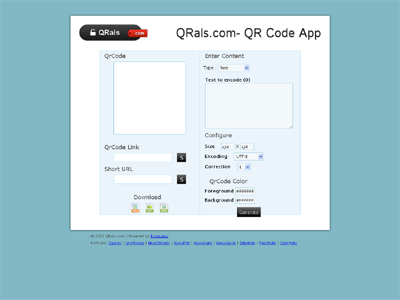 QRals.com – Online Free QR Code generator for text, SMS, website, google maps Qr codes. Easy to use and also can download the image to local computer. Every QR code gets a bit.ly url for the image! 2. Every QR Code comes with an Bit.ly url to share it easily!